Tring is Champney's flagship spa, a combination of glamorous stately home and holistic wellbeing. 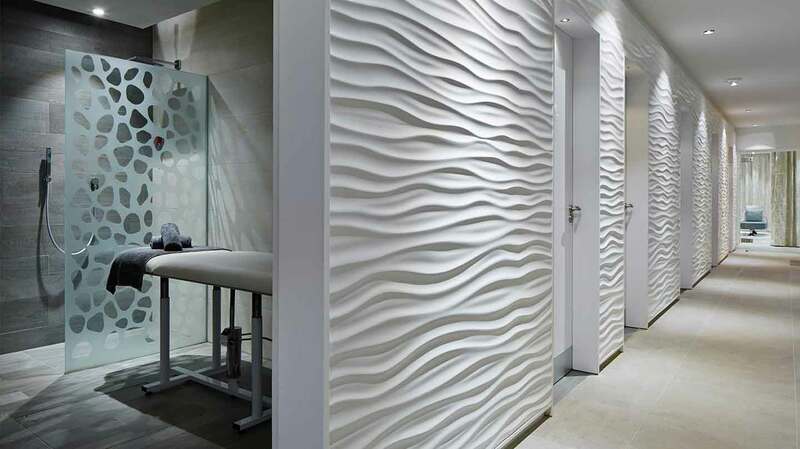 The extensive facilities are complemented by the Marine and Wellness Spa, which offers guests a range of water-based treatments using the recuperative qualities of seawater, algae and marine minerals. The spa menu has over 100 different types of treatments, from the traditional to the exotic, such as Reiki and Indian head massage. 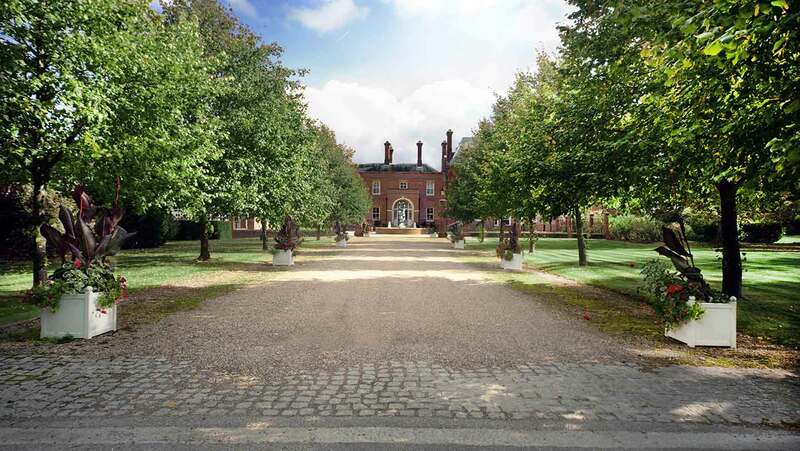 Champneys Tring also offers interesting and unusual treatments, retreats and boot camps. 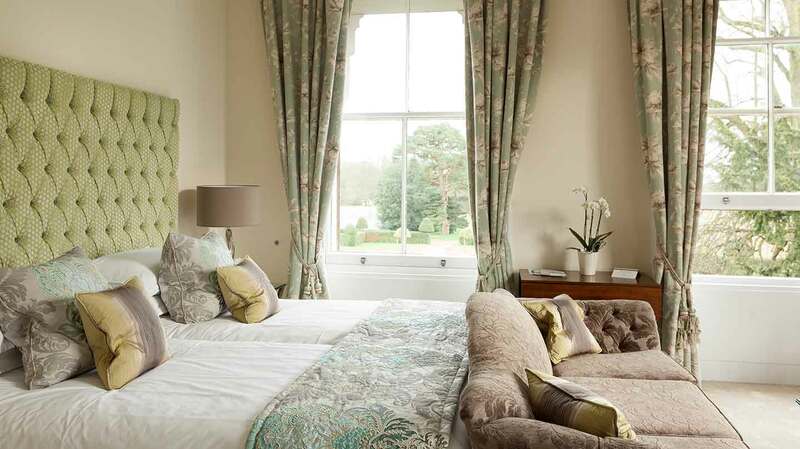 Opened in 1925, Champneys Tring is a stately home and well-being retreat in the Hertfordshire countryside; it's also the Champneys group's flagship property. Follow the long driveway with its glimpses of meadows and countryside until the tall chimneys of the red-bricked Champneys mansion appear above the treetops. Outside the front entrance is a dramatic, modern fountain. Inside, the decor is modern, cool and elegant with an instantly calming sense of light and space. Most bedrooms are in the south-facing garden wing, a two-storey curved building that encompasses the lawns and gardens and catches the sun. 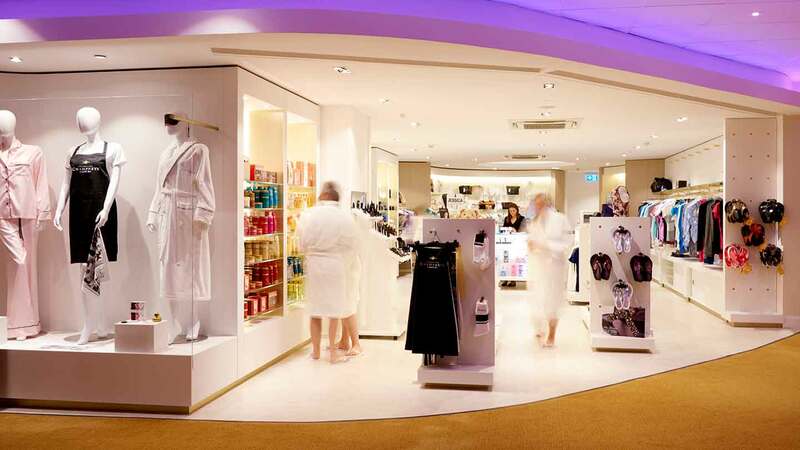 The enormous spa stretches over one floor and can be a bit of a maze. Thankfully, staff are on hand to guide you, or you can make good use of the map you receive at reception. 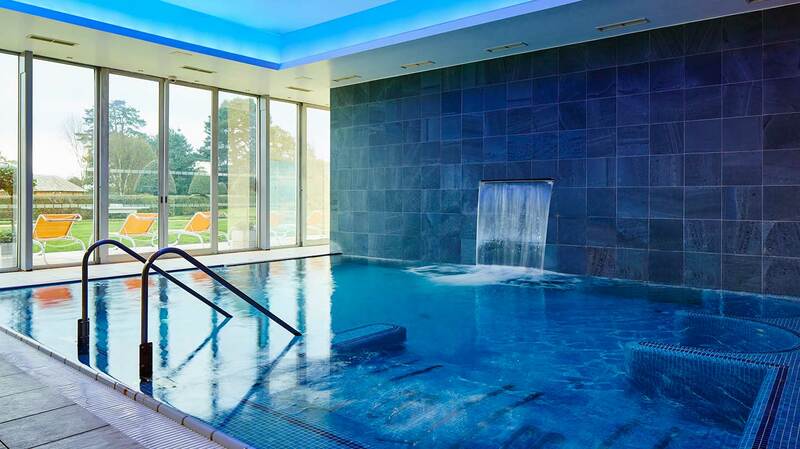 Everything you could wish for in a spa is on offer at Champneys Tring: a 25-metre pool, a well-equipped gym, two activity studios and a host of thermal experiences. The large outdoor whirlpool is a must, with its sunshade to reduce glare. Head back indoors for the steam room, sauna and another indoor whirlpool, all spacious and warm on our visit. Brave the cold plunge pool if you overheat. A separate area houses a large thalassotherapy pool which has a glass wall overlooking the grounds and a wall of slate with a soothing waterfall running down it. Here, the water is enriched with minerals to nourish your skin. The Marine and Wellness Spa is decorated in white and silver with pale blue furnishings and a colourful tropical fish tank in the reception area. Book in for a guided wellness "journey": a combination of treatments designed to de-stress, detox, slim or rejuvenate. 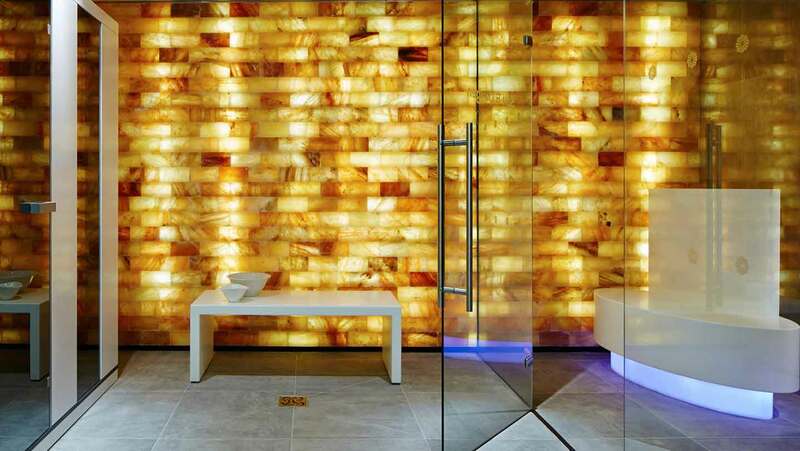 You can also try the individual treatments such as the floatation pod, salt-inhalation room or infra-red saunas. You'll know you've reached one of several quiet areas as soon as you read the word "Shhh!" One near The Marine and Wellness Spa has its own whirlpool and private rooms. Curl up in hanging egg chairs or climb onto a water bed and be lulled to sleep. 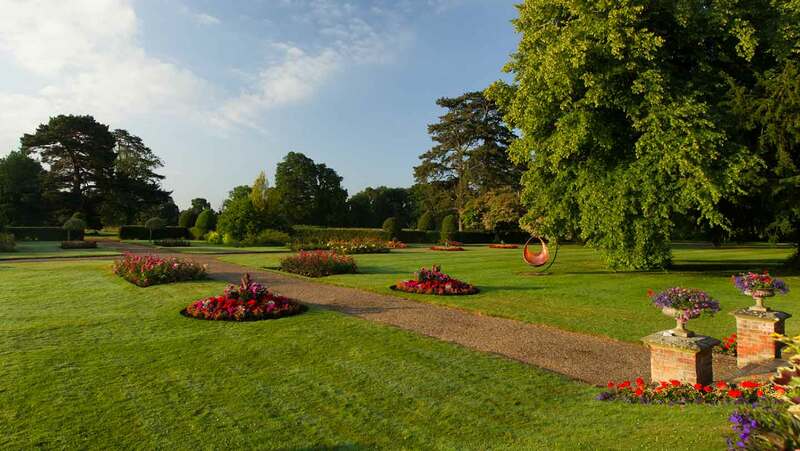 The surrounding 170 acres of gardens and woodland keep Champneys Tring peaceful and quiet and provide the opportunity for a countryside stroll. Comfortable recliners and several relaxation cabins are tucked away around the grounds, meaning you can hide away from the world -- if just for an afternoon. We had the Champneys Citrus Blush Body Ritual (50 minutes, £79), using Champneys Citrus Blush Scrub and Body Butter. My therapist, Alice, met me in the waiting area and took me to the treatment room. This was gently lit in neutral tones with the soothing sound of piano and lapping waves. She asked me what I wanted to achieve from the treatment; anything to relieve shoulder tension from driving and writing would be welcome, I said. She left me to disrobe, slip on some disposable pants, and lie face down on the bed. Alice began the treatment with a vigorous but comforting back scrub with a pleasant and warming citrus scent. She removed the scrub with hot mitts, then massaged my zingy skin with long, firm and rhythmic strokes, painlessly unravelling my shoulder knots. Alice introduced hot stones, gliding them across my skin, the heat melting my muscular tension. As my body grew heavy and peaceful, Alice pasted on richly creamy Citrus Blush Body Butter and wrapped me in towels and sheets. She massaged my head then my feet as my skin drank in the moisture. I appreciated her slowly exposing me to the cool air, then warmly massaging in the remaining lotion. Alice left me to get dressed, thoughtfully placing my flip-flops next to the bed on a towel so I wouldn't slip. I floated off to the relaxation room with a very grateful back and shoulders, feeling both pampered and de-stressed: a wonderful treat for the deskbound. 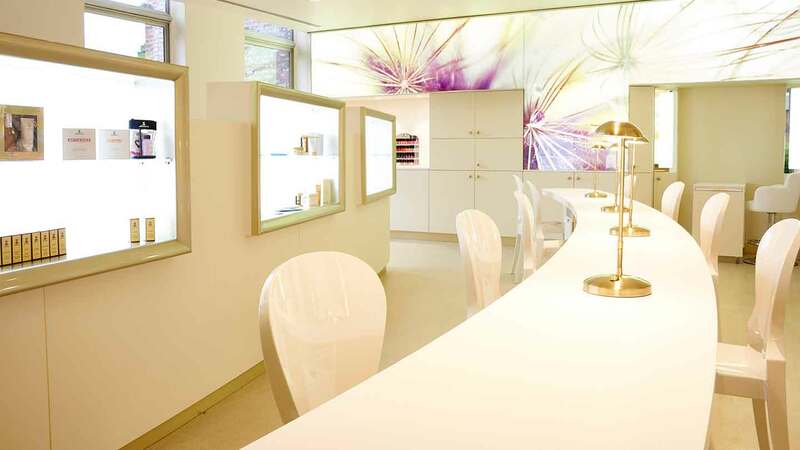 The treatment menu at Champneys Tring includes facials, massages, body treatments, and beauty finishing touches using Aromatherapy Associates, Carita, Elemis and Clarins, plus complementary therapies such as Bowen technique, acupuncture and osteopathy. The medical treatments include a physiotherapist and on-site nurse who can change dressings and take out sutures if you are recovering after an op. The spacious dining room is split-level with upholstered dining chairs and white linen tables. Large French windows let in lots of light. Help yourself from a large self-service buffet area for breakfast and lunch and enjoy table service for dinner. At lunch, everyone wears robes or gym outfits; there is soup, a choice of hot dishes, and a selection of bright, colourful and flavourful salads. Get creative with your Champneys plate, the design of which helps you balance your protein, vegetables and carbs. Desserts are generally light: fresh fruits and yoghurts but with some interesting additions; the jury is still out on my chia and hazelnut pudding. For dinner, dress smart-casual and choose from a three-course menu with inventive and mostly rather healthy options, as well as grilled meat, fish or tofu burgers and indulgent puddings. I had a delicate beets and goat's cheese starter, a flavoursome and filling gluten-free pesto gnocchi for main, with simple but delightful figs, syrup and crushed pistachios to end. Champneys take food intolerances seriously with plenty of gluten-free and lactose-free choices. They will also arrange special diets if you contact them in advance. 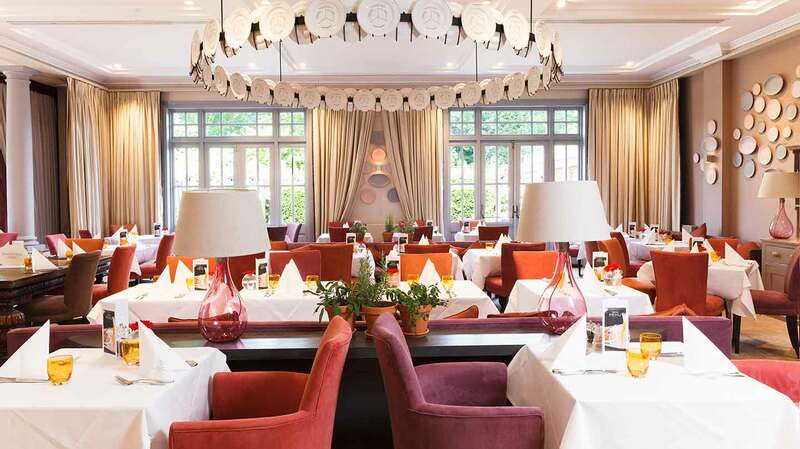 There is no bar at Champneys Tring but they do offer wine or Prosecco with meals. The possibilities are endless: You can create your own perfect spa day from what's on offer -- go full detox bootcamp; de-stress with mindful walking and meditation; or play tennis or Ping Pong and splash around with friends. The new relaxation room: We loved the natural modern design and use of trees and stones bringing the outside in. The grounds: There are formal gardens, woodland walks, bike trails and a meadow, as well as plenty of areas where you can relax in the sunshine. The swanky new areas make the swimming pool changing rooms and some older facilities look in need of a face-lift. Activity addicts: Champneys Tring offers a wide range of daily classes, from gentle meditation to yoga, from aqua circuits to Zumba. Anyone serious about their health: Champneys Tring offers sessions with physiotherapists, nurses, nutritionists, and doctors. They offer specialised tests including blood tests, food-sensitivity testing, diabetes screening, healthy heart assessment, hormone testing and adrenal stress profiles. 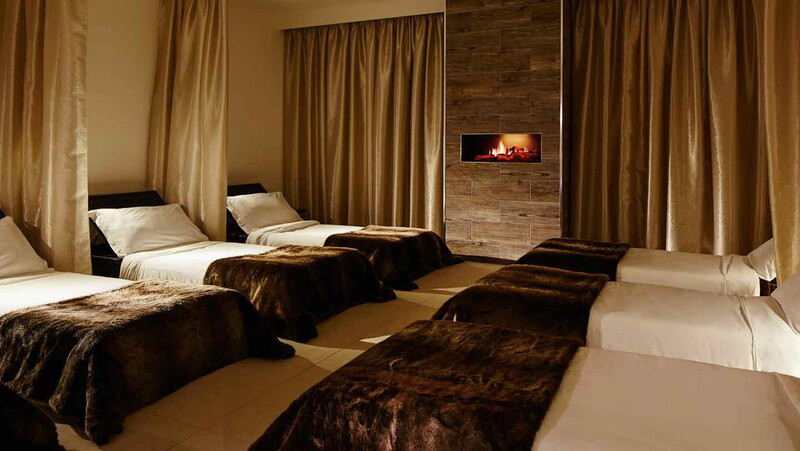 Those in need of extra nurturing: Pay £99 for a VIP stay which includes a pre-visit telephone call, and premiere therapists overseeing your treatments. You also have a reserved area in the dining room and private section in the treatment waiting room. 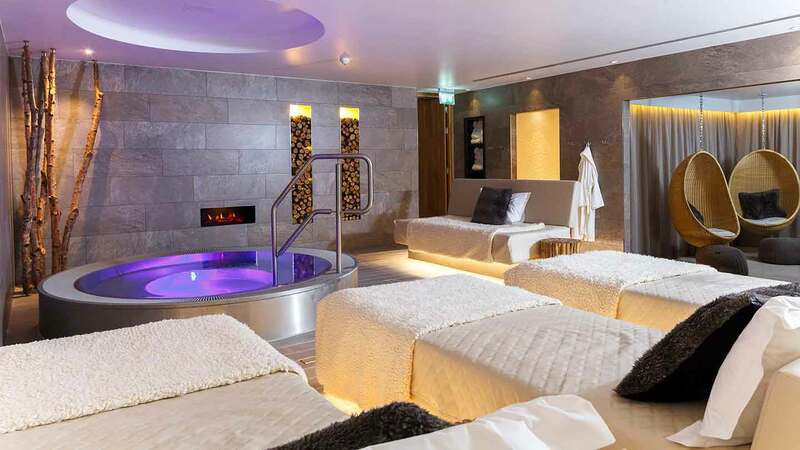 We gave Champneys Tring a Good Spa Guide Bubble rating of 5 Bubbles. 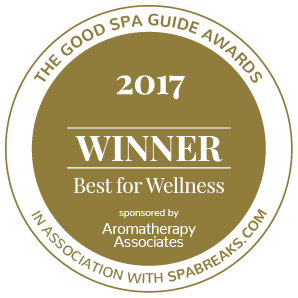 It's a glamorous destination spa that offers much for the spa-goer and has bags of character and charm as well as reassuring expertise. We love that Champneys Tring makes the most of its gorgeous grounds and is slowly bringing the outside in through each newly designed area. Savant Spy visited in August 2018 and awarded it 5 Bubbles. 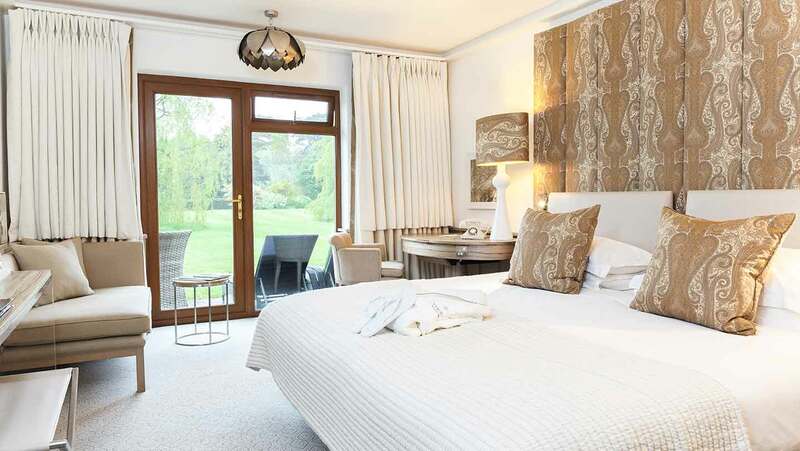 "Beautiful countryside location with pleasant staff and a relaxing atmosphere "
"I have enjoyed many lovely stays here with my late husband and the staff were amazing as my husbands health deteriorated they looked after us so well and covered all our needs. I have since visited with my daughters and sister in law, and was made most welcome and had a great time. The staff can cater for everyone’s needs, they have help so much through the good and bad times. Thank you so much." "I loved the water bed nap room...that’s my kind of relaxation! Indian Head Massage treatment was bliss!" "Absolutely amazing facilities in such a beautiful spot. The staff couldn’t of been any more kind and helpful. Exercise classes bike trails, treatments and facilities were fantastic I couldn’t fault any part of my stay. The restaurant was increadibke food was delicious I can away inspired to carry on living a healthier lifestyle." "I visited alone for 2 nights and had a great time. I met other friendly solo visitors at the champneys table at dinner and also spent time relaxing alone. 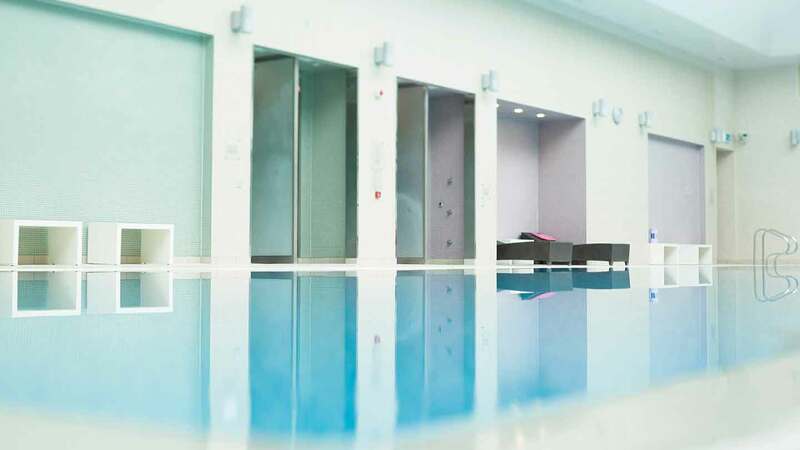 The fitness classes are great fun and inclusive whatever level you are and the thalassotherapy pool is a lovely way to relax when you’ve overdone it with the classes! 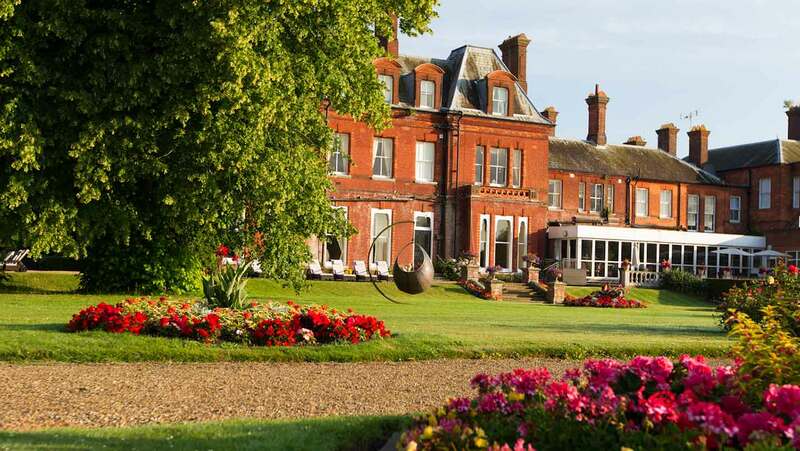 I had a couple of treatments- the champneys 50 minute massage was ok but the pressure was very light and I wasn’t asked (as I usually am when having a massage) what pressure I would like. The Elemis resurfacing facial was great and included an arm, shoulder and head massage. If you look closely there are areas of the building and rooms that need a little tlc but nothing that impacted my visit. Overall I really liked it and will return." On site restaurant with nutritious gourmet cuisine. 91 bedrooms from standard and superior to suites.